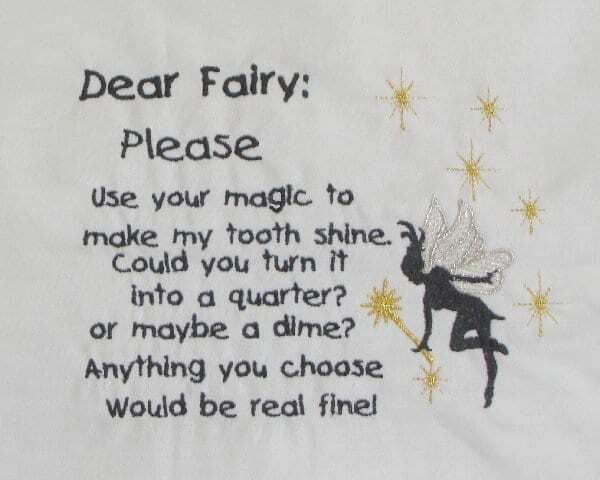 This adorable Tooth fairy pillow is perfect for when a child looses a tooth. Has a pocket to keep the tooth hidden so it does not get lost before the tooth fairy finds it. Download contains complete instructions. Fits the 5×7 hoop.